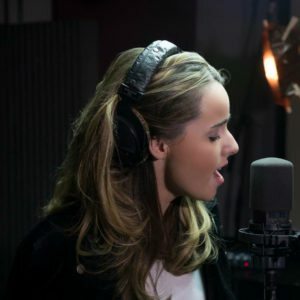 Up and coming New York based pop artist Kara Eliza released the video for her cover of Justin Timberlake’s hit song “Mirrors” today on YouTube. Born and raised in New York, Kara Eliza became enamored with music and voice from the time she was a toddler. She used to imitate a wide range of voice types and sounds. She was able to imitate mature singing voices from the age of eight. As a teen, Kara started writing and recording her own music in her make shift recording studio. Her musical style has been compared to artists like Alicia Keyes and Amy Winehouse. Kara Eliza has performed in various venues in the US and Europe in a variety of vocal performances that have highlighted her range and performance abilities. Her range has spanned from Opera to Popular tunes to Rap. As a teen, Kara performed in Neil Berg's Night of 1000 Stars with some of Broadway's biggest stars.